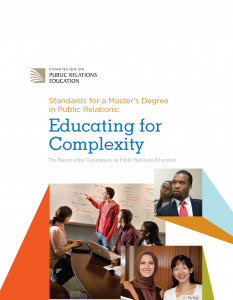 From research conducted in 2011, this report provides recommendations for graduate-level public relations education that will benefit those going into academia and the practitioner world. 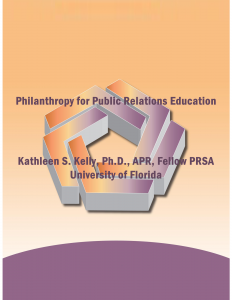 This report presents the findings of research conducted in 2010, extending the original research of the Commission of Public Relations' 2006 study that produced a first ever "Sampling of Major Gifts to Public Relations Education." 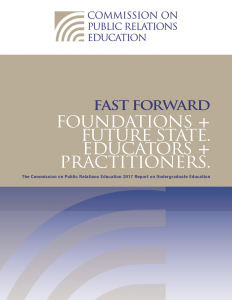 This report, like earlier reports of the Commission on Public Relations Education, presents recommendations for public relations undergraduate and graduate education. 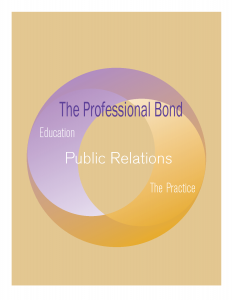 But beyond this traditional purpose, "The Professional Bond" report has also been developed to demonstrate, facilitate and encourage the kind of linking of public relations education and practice that is the hallmark of any profession. 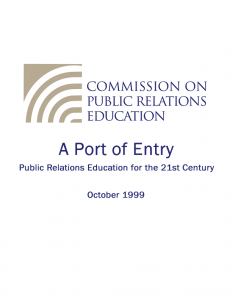 The Commission invites students and potential students, faculty and other academic leaders, certification and accreditation bodies and public relations practitioners to buy into and profit from the greatly improved "Port of Entry" education this report describes. CPRE believes adding a required course in ethics is an essential change. 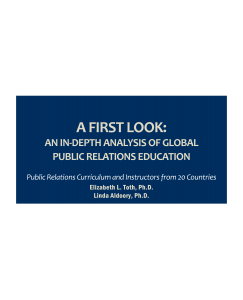 New, more relevant standards for hiring educators in public relations … (should) balance the relevance of public relations industry experience with that of academic experience.